The dean of a Spanish business school argues that tutors have become too ensconced in their ivory towers and should be getting back to solving problems in the real world. 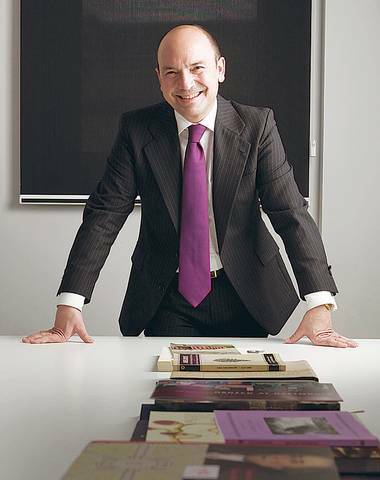 Iñiguez avoided the archetypal academic background of those leading business schools. His colleague Paul Danos, dean of Tuck Business School, says he is not the “conventional drummer”. Iñiguez qualified as a lawyer and was a graduate researcher at Oxford University, where he gained inspiration and ideas from the concentration of eminent moral philosophers, including Sir Isaiah Berlin, who were there at that time. Their teachings have influenced his theories on the future of business education, crystallised in his recently published book The Learning Curve: How Business Schools are Re-thinking Education. On the most basic level, what are business schools for? According to Iñiguez, their main point is to develop people who can transform their environment in order to create a better world. “Good managers and entrepreneurs are the best antidotes to many of the world’s ills” he argues. He examines in his book how business schools can become effective hubs for developing managers and entrepreneurs. He argues that management education in the broadest sense should embrace literature and history. “Through reading novels by Charles Dickens or plays by William Shakespeare you will understand human nature far better than by studying a pile of manuals on self-improvement. If you read history and understand what happened a century ago, you may avoid future crises by recognising that events are cyclical. In cultivating the humanities you develop well-rounded managers who can lead cross-cultural teams, understand diversity and work together with people from different cultures,” says Iñiguez.